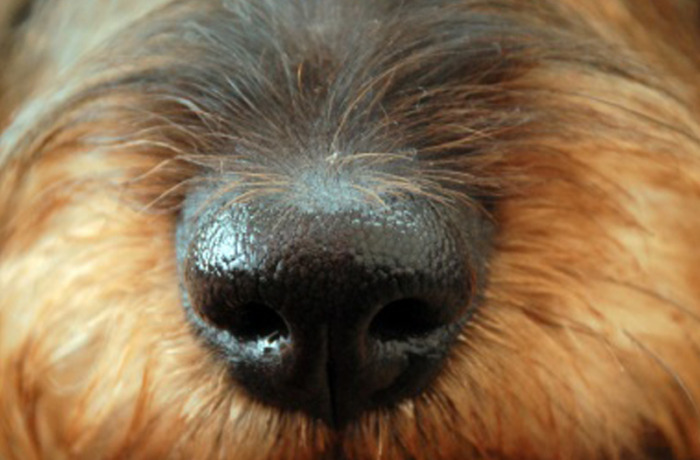 This class is a chance for your dog to do something every dog loves to do…use his nose. It is great mental stimulation for your dog to use his instincts in a productive manner. Scent dog obedience training classes offer you and your dog to interact through the dog’s ability to smell and find items that may be hidden. Just like the retrieve class, this class will give your dog the opportunity to use this new skill for work. Dogs love having jobs they can do and it helps them to be fulfilled. Our certified dog trainers will teach your dog to find certain scents or objects. If your dog has a food, toy, or prey to motivate them, they are capable of doing well in this class. As part of the scent class, we will also teach you to work with your dog to teach him to find items. Do you lose your keys often? We can teach you to have your dog find your keys. This class is super fun! It is a suburban search and rescue. Contact us at Cincinnati Dog Wizard for classes where our professional dog trainers to work with your dog. Our certified dog trainers are experienced with different skills and offer a range of classes to help socialize your dog, including aggression rehab, dog obedience training classes, and group classes for you and your dog.